Terletak di tengah-tengah Marylebone, Best Western Maitrise Hotel Maida Vale merupakan tempat yang sesuai untuk meneroka London. Terletak hanya dari pusat bandar, para tetamu berada di lokasi sesuai untuk menikmati tarikan dan aktiviti di sekitar bandar. Hotel moden ini berada di sekitar kawasan tarikan bandar yang popular seperti Panggung Tricycle, The Dry Goods Store, West Hampstead Farmers' Market. 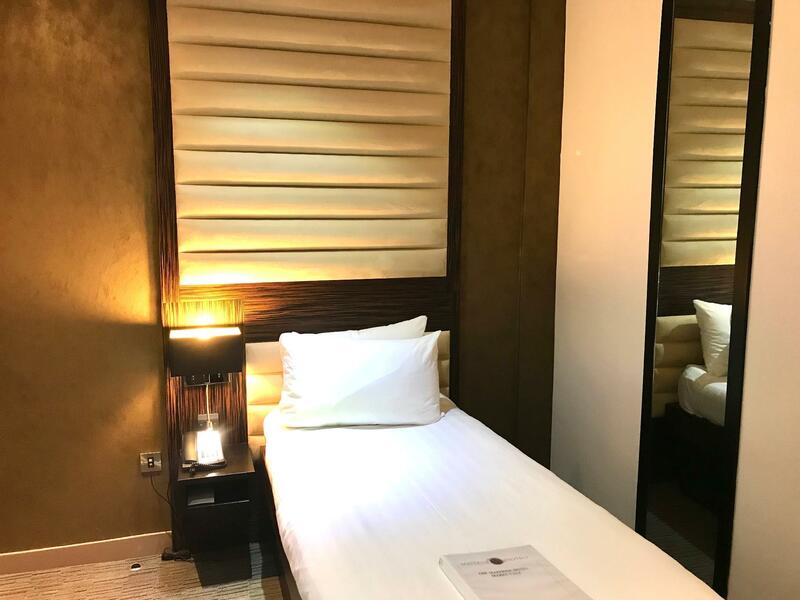 Di Best Western Maitrise Hotel Maida Vale, perkhidmatan yang cemerlang dan kemudahan yang unggul menjadikan penginapan anda tidak dapat dilupakan. Hotel ini menyediakan akses kepada pelbagai perkhidmatan yang luas, termasuklah Wi-Fi percuma semua bilik, meja depan 24 jam, fasiliti tetamu kurang upaya, Wi-Fi di tempat awam, khidmat bilik. Suasana Best Western Maitrise Hotel Maida Vale terpancar di dalam setiap bilik tetamu. televisyen skrin rata, internet wayarles (percuma), bilik larangan merokok, penyaman udara, meja hanyalah sebahagian daripada kemudahan yang boleh didapati di hotel tersebut. Di samping itu, pihak hotel menawarkan aktiviti rekreasi untuk memastikan anda mempunyai perkara untuk dilakukan sepanjang penginapan anda. 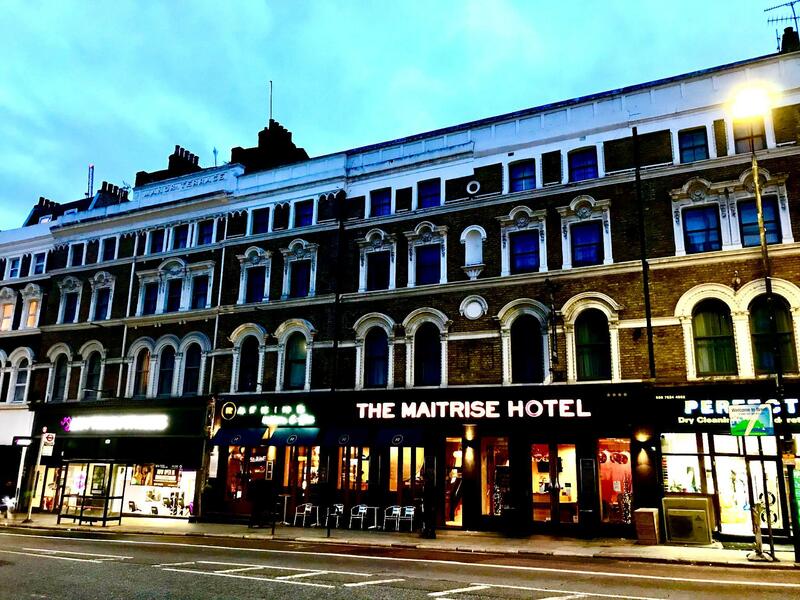 Apa juga tujuan lawatan, Best Western Maitrise Hotel Maida Vale merupakan pilihan yang terbaik bagi penginapan anda di London. Caj tambahan dikehendaki untuk menggunakan bilik stor. Penginapan ini mempunyai gim seluas 3,000 kaki persegi yang dilengkapi penyaman udara sepenuhnya. Gim dibuka 24 jam. Booked for my mum for her stopover after her meeting in geneva. She chose to stay here as it is near to my sister old house and they are familiar with the area. She and my sister arrived early in london so she asked if she can check in early. My sister said the trainee staff is very rude and keep saying do you understand english, do u understand english, i guess because we are asian he thinks we cant undertand english or he is just being rude and racist because we are asian i dont know. I hope the management can train him properly and tell him we asian talk/write in more than one language. And yes most of us do understand english as english is a compulsory subject in our school system. Luckily after going for breakfast, a nice lady staff there tell my mum she can checks in right away as the room is ready. My mum said she will return again as the location is great, and the room is great too. Despite the trainee staff's attitude, she is planning to stay there again next year. The staff are really nice and helpful. The room was clean and comfy. 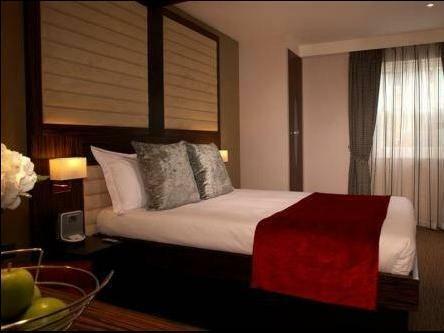 Just opposite to tesco and 5 mins walk to tube station. Really enjoy the staying, only my room's toilet flushing function not quite working sometimes . Beware.. the free breakfast booked on Agoda was certainly not free. You get a continental breakfast but you have to pay extra for a cooked meal. This is miss selling in my view. You also have to pay extra for the Gym. Bed is comfortable and room n bathroom are small but adequate. 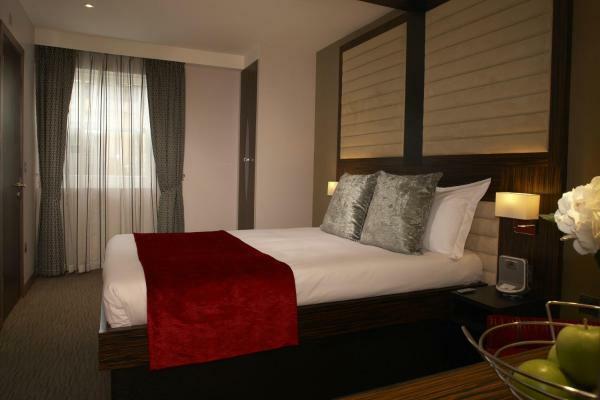 The room was clean and modern, even though I booked for room with no window I think it is still comfort and you will have a good sleep after traveling around london. 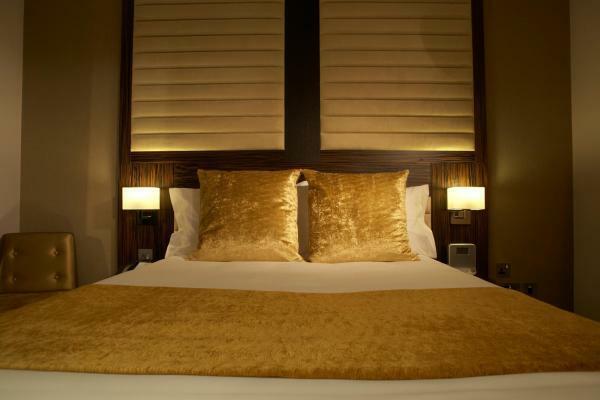 The location was good, the hotel is located in Kilburn area. You can go to tourist area in central london within 30 mins via tube (Bakerloo line). 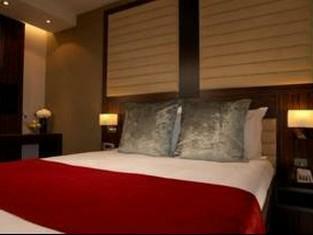 Kilburn Park tube station is only 5 mins walk form the hotel. The best one is in this are you can find many of halal restaurant. 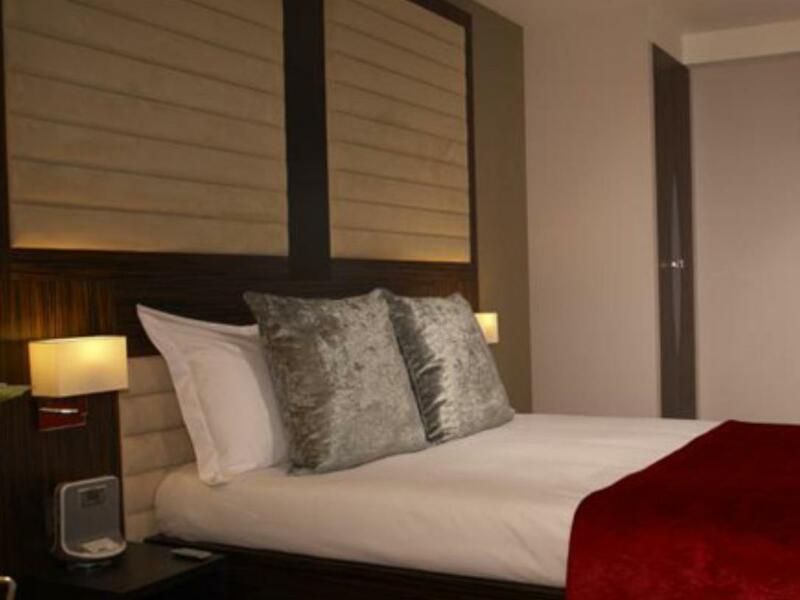 Then if you look for hotel which is not really expensive, clean and not really far from central london, this hotel will suit your expectation. The staff at the front desk is very friendly and helpful during the check-in. A thumbs up for her. The room is beyond my expectation. I thought the room is poor when I read the review from the website. But I was wrong, the room is spacious then I expected (compare to other hotel in London) and it is very clean. Food and convenient stores (i.e. Tesco express, Boots, and M&S Food Hall) are nearby. If you like coffee, there are Starbucks and Pret nearby as well. Underground Tube and Overground trains are within walking distance. Highly recommend for those who travel to London. Once again, thanks to staff who serve me during me check-in. I and wife, we got a room which has same size with a storage on the very top floor (forgot which level was it) which totally different from what we had booked. Staff (night shift receptionist) was not helpful at all with our concern, 3 bags in the room and we could not move at all, we even showed her the picture. Ceiling is too low as it is shared with the roof. Totally disappointed with them, till the following day we insisted to change to another room to another staff (morning shift). The room was clean and good size when we checked in but smelled like fresh paint. The staff were very friendly but seemed to be missing from the reception late at night when it is suppose to be 24hrs. Our room did not get clean when we left the next morning to go shopping even though we rang for it, house keeping only showed up when we were back in the evening and trying to rest in our still messy room. Mini fridge doesn't work so can't store anything in it. Location is good, right in front of the bus stop. There is also a Tesco across the hotel and restaurants near by. Made and paid booking through Agoda. Got confirmation and payment receipt from them. Hotel had booking but said no payment received. I showed them receipt but they said it was my problem and made the guest pay again! Still waiting for Agoda response. Obviously will not use either again. I am writing to share a most appalling treatment I endured by the Maitrise manager Mr Rudra Banerjee. I booked the hotel for 2 nights 3-6 December via Agoda (www.agoda.com). My booking was confirmed and could not be cancelled and non refundable. This was the 4th time for me staying at the Maitrise and I paid the same price per night in all my other bookings. On arrival at the hotel, the manager, Mr Banerjee, informed that he had cancelled my reservation because the rate I paid Agoda was too low. He offered me to pay 50% more and book directly with the hotel which is tatntamount to blackmail. I tried to explain that Agoda was NOT my agent but rather the hotel's agent (as the hotel gives Agoda permission to advertise their rate and confirm such rate). This was to no avail. I had to call Agoda (40 minutes). Agoda then spoke to the Mr Banerjee (50 minutes). My room was then confirmed and I wasted 2 hours of my time. Did I get an apology from Mr Banerjee, NO. Not a sussage! Wi-Fi , clear room & toilet , good location near the metro and nice reception service. Though the facility in the bathroom broke a little, doesn't mattered for a qualified living standard. It's convenient that Tesco express is in front of the hotel ! Well recommend. This is a very nice Hotel. It is close to The Tube, The Overground, and City Bus stops. Easy to get to anywhere you needed to get to, which was perfect for the two of us. I would not hesitate to recommend this Hotel. Modern and newly refurbished room. Very clean and comfortable bed. Unfortunately the room we received (#113) was tiny! The front door from the corridor, once opened, hit the end of the bed - making it very difficult to even just enter the room. There is absolutely no space to comfortably open your suitcase and navigate around the room. I hit my leg very hard on the edge of the bed and came away with a bruise. We would have requested another room but we arrived late and only stayed for one night, so thought we would bear with it. Not worth the money we paid! It was slightly further than the other Best Western but it was a really pleasant stay. The bed was plush and clean. There was ample space for clothes, bags and even books. Love the many available power points and USB socket for charging. Choose a cheap hotel in this area for a hospital appointment and expected a cheap and nasty experience but I was on a budget, very pleasantly surprised as the hotel was fantastic, the staff were extremely welcoming and helpful, the room was far better than expected, the food was amazing and priced well, I can find no fault with this hotel and will certainly return next time I need to stay in this area. You will not be disappointed. I was here to visit my friend in London, and 4 days ago (14th Sep 2018) my friend gave me an award winning white wine as my birthday gift. We were planning to stay for a week in it, thus we put the wine on the table all the time, as we were searching a time to drink it, which we couldn’t as we were busy with our schedules. The fourth day (17th Sep 2018), when we go to our room, we find out our card to get in no longer access. And I have asked my daughter to renew it from the reception. (I am not sure is this a hint, but something’s wrong) We went into the room and straight went to our sleep (as both of us - me and my daughter went back in the midnight) Here comes the worst part: The next morning, we found it our white wine is lost. The white wine we did not touch for 4 Days is gone and stolen. We discussed with the reception and the system manager to resolve this issue and sort out everything. They said that the system manager can’t find the same wine to replace my wine. Sir or Madam from Best Western Maitrise Hotel Who is reading this, let me give you an advice: This is a serious matter and it spoils the grand name of Best Western. This will make a customer who was having a high confidence in you, and it spoils everything. We were super insecure right after we found out the wine is lost, and now checking out at once. Please check your security, your staff and all the system matters that you have. Hope you take note in this. Hotel and staff were great and welcoming. Rooms, while very small, offered all that were needed and felt of good quality. Breakfast was minimal, but did the job and more offerings were available at a cost.